Premiere in North Rhine-Westphalia: As the first manufacturer in the region, our company received the new certified "Made in Germany" proof of origin in spring 2011. Because we are determined to fulfil our responsibility to invest locally, safeguard jobs and provide excellence. This conception has now proved for approximately one hundred years. On the worldwide market, JUNG brand products manufactured in Germany have proved to permanently provide advanced technology, unparalleled variety of applications, and cutting-edge design. These are features which our international customers highly appreciate. 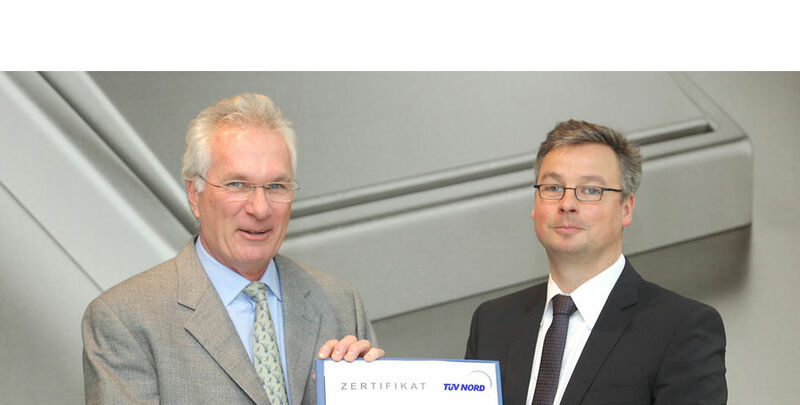 Therefore, we consider the new TÜV NORD certification mark as our entrepreneurial commitment to keep to our successful location strategy and to strengthen it". The "Made in Germany" certificate in different languages is available in PDF format for download here.